Table: W63" to 89" x D21" x H42"
Chair: W18" x D21" x H42"
Buffet: W75.5" x D18.5" x H33.5"
Simple clean-cut contemporary design yet it is screaming with so much details, brought to you from Spain by Marcelo Ibanez. 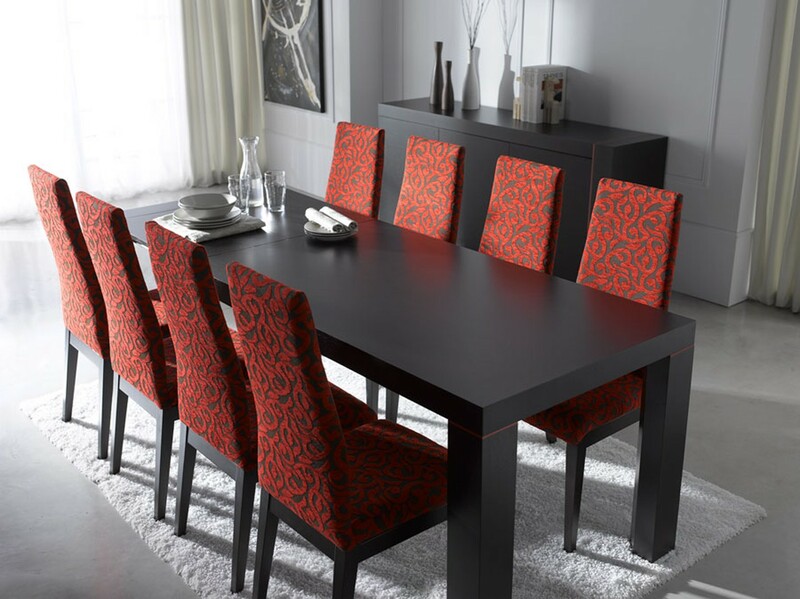 Large expandable table features durable black finish with few red stripes completed by bold square feet. Comfortable chairs feature fine red and black tapestry fabric, cushioned seat and high back. There's also option to extend your dining room and add buffet with plenty of spacious shelves to your set.